A premier smartphone brand known for its class, HTC launched it’s another low-budget smartphone. The device being named after the hierarchical Desire series is called as HTC Desire 516, HTC Desire 516 launch has been officially announced in India. Check out the HTC Desire 516 specifications and review below for more details. HTC desire 516 is a 3G enabled device powered by a MediaTek, 1.2 GHz quad-core processor and 1 GB RAM which makes the device swift and a quick performer. Desire 516 is available with only 4 GB internal storage that is expandable by micro SD card up-to 32 GB. A 1950 mAh battery powers up the set but this should be good enough for a daylong of charged up company. A 5 inch display with capacitive touchscreen is a general trend these days. The display has a resolution of 540x960 pixels and provides a great visibility. With the HTC Sense UI, the 5 inch display works very effectively. The Desire 516 comes with Android version Kit Kat 4.2.2, this is nonetheless great specification of the device. The device is also Wi-Fi enabled along with Bluetooth v4.0 and A-GPS. Accelerometer and proximity sensors adds up to the main board configuration. 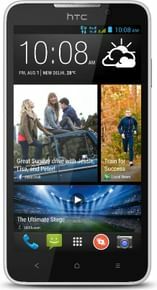 Online Price of HTC Desire 516 in India is around INR 9,000. Desire 516 looks like a matter of interest for smartphone enthusiasts. You can buy HTC Desire 516 online on various e-commerce websites. Exclusiveness about this smartphone is its excellent Primary camera and powerful screen resolution.